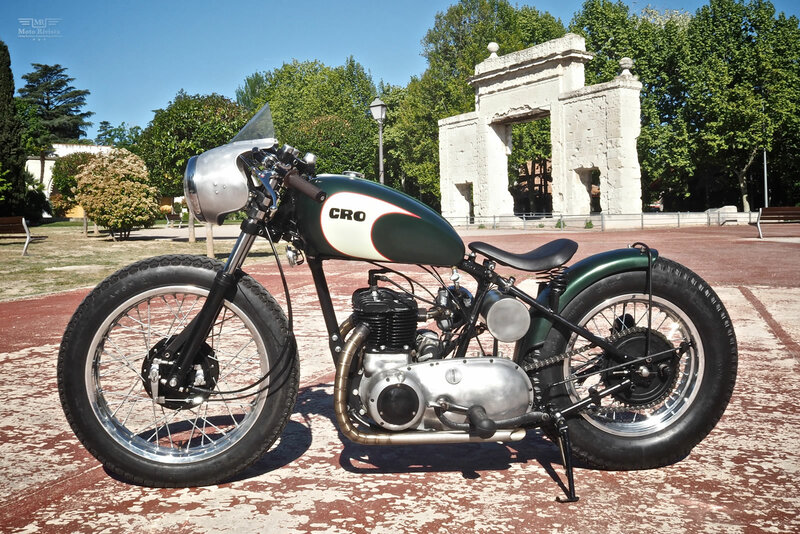 Café Racer Obsession or CRO for short, Madrid was established in 2009 by Fede Ruiz. 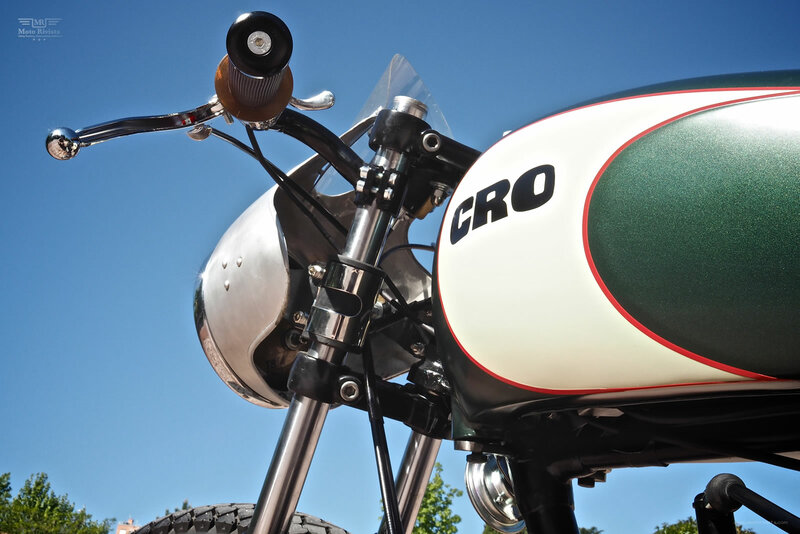 With a full team of support now, CRO Motorcycles has a large number of builds in their portfolio. For the first CRO motorcycle to feature on Moto Rivista we are taking a look at their latest, a custom Triumph TRW 500 called La Desertora. 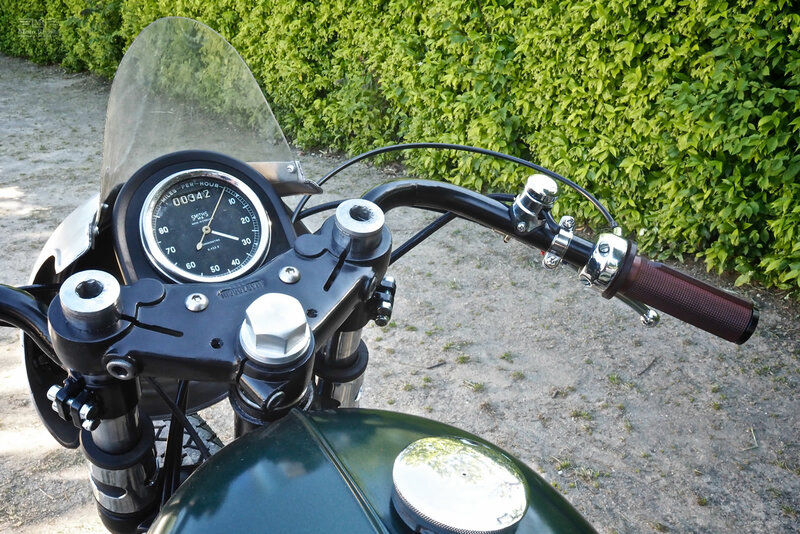 Before we get to the build lets hear from Fede Ruiz “CRO Motorcycles came about following my obsession for classic racer and cafe racer motorcycles. It started as a weekly session where a group of people met in order to talk, enjoy and know a little more about the motorcycle culture. I was working on my own bikes when I started to receive orders from other people. 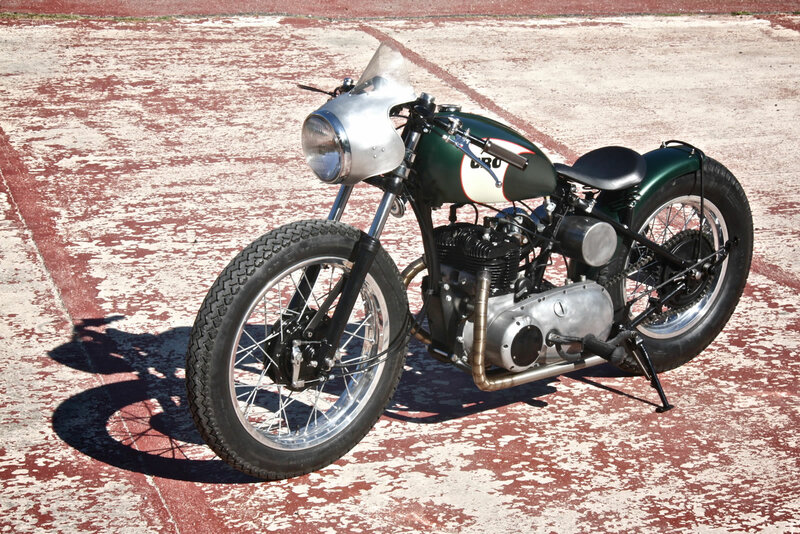 Cafe Racer Obsession specializes in building Café Racer bikes. We always play it by ear. We start with some clues about the project we want to build whilst improvising is very common in our workshop. You won’t see any previous sketches on the table. My most inspirational bike that I’ve ever seen is the Hammer Lucifer’s replica built from a 1000 Sportster 1985. I raced with it at Jarama circuit thanks to Bonneville Madrid. A Harley builder in Madrid gave me the opportunity to enjoy and race with this awesome motorcycle. 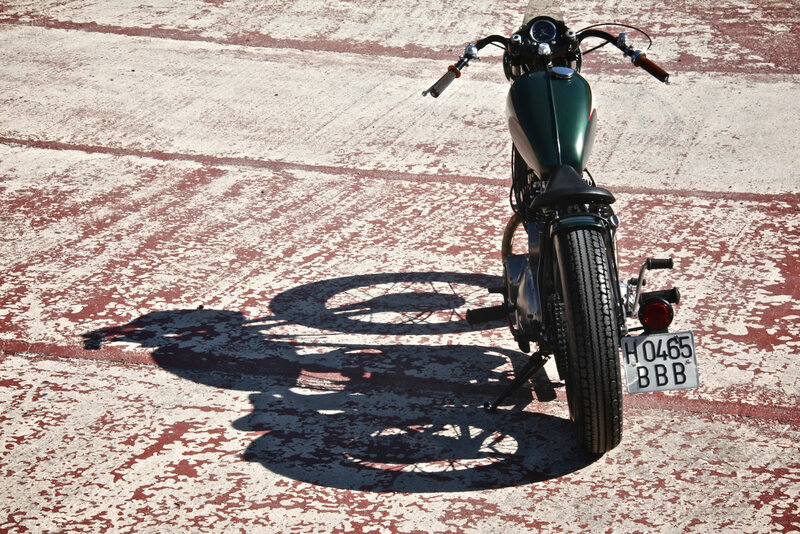 It was so special to me because it’s amazing to experiment how a Harley can race and hold to the road. Lets get down to the build of La Desertora, the base for the build was an original military Triumph TRW 5OO. The idea was to turn this flathead engined bike into a racing bobber motorcycle like those that raced across Daytona Beaches. To begin with the build the bike was stripped down to the original rigid frame, which has been modified to adapt the new stance. The 500cc TRW engine features high flow Amal filters and carburetor. The exhaust manifold and the pipes are in house CRO production units. At the front this custom Triumph TRW 5OO features forks from Marzocchi (Benelli 1OOO). 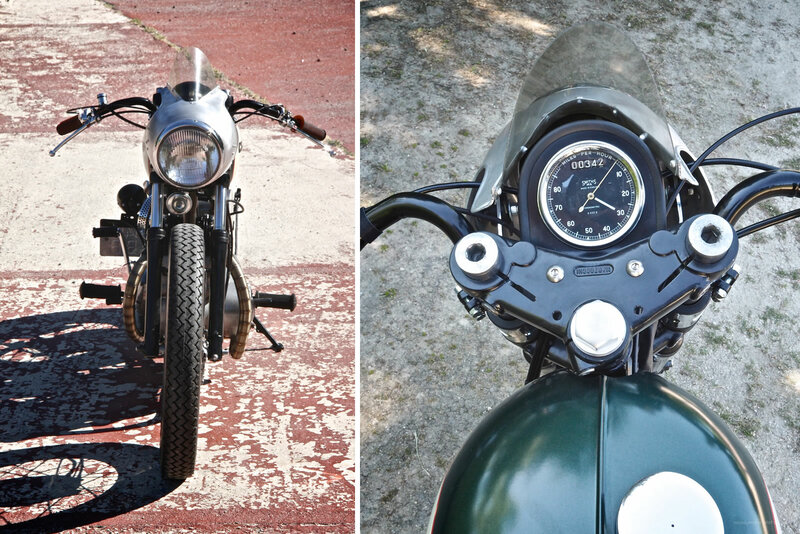 The classic looking front fairing is from a 1958 Ducati 98 and houses a modified headlight. The clip on handlebars are another classic looking CRO item and the Smiths speedometer features handmade brackets from CRO. The front rim is a Morad 19″ wrapped in Avon MKII 19″ tires. The 16″ rear rim is a handcrafted unit from CRO motorcycles, wrapped in Avon AM7 Safety Mileage II 16″ tires. The front drum brake unit is from a Honda CB 35O. 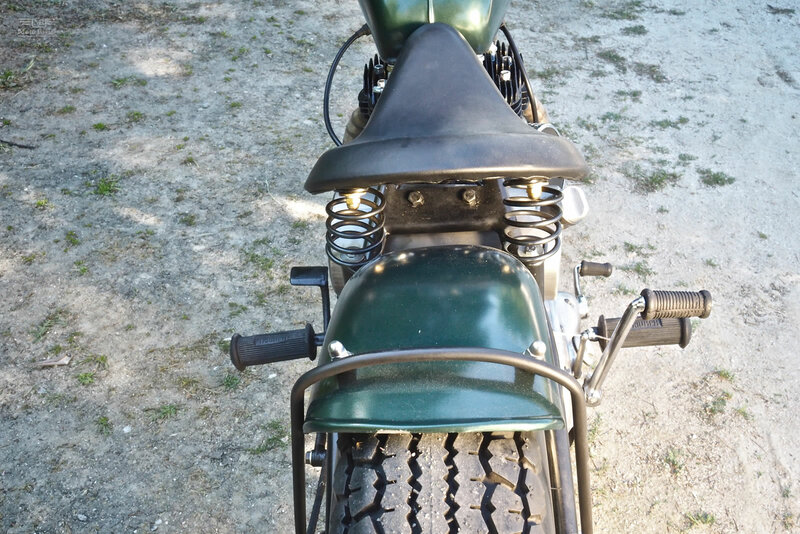 The fuel tank is from a Triumph Bonneville and the bobber seat is from Bitwell. 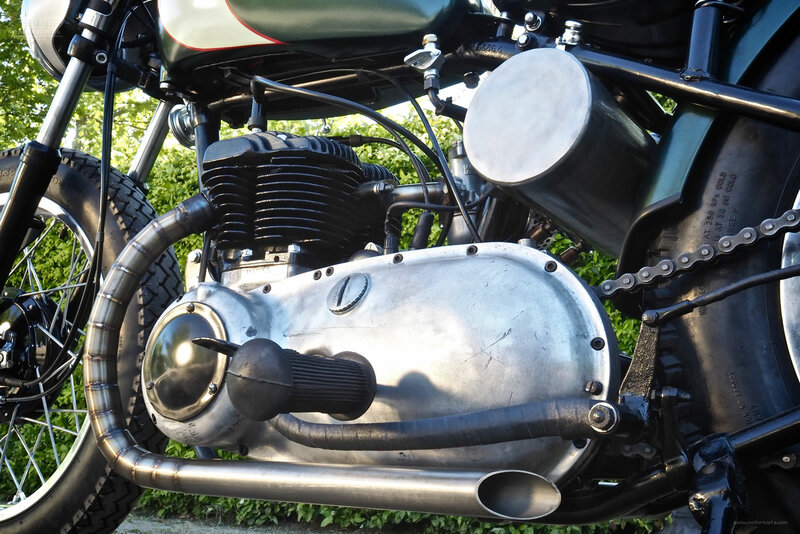 The rear mudguard and intake manifold are also hand fabricated units by CRO Motorcycles. “What’s next for CRO Motorcycles, I would say we are planning to increase our business model, we have been dreaming about what we would like to be in the future and it seems our dream is getting closer. I can’t say too much now but I hope we can give you further information soon!” Intrigued, indeed! Keep us updated Fede!